Pro Street/Bracket Race, limited street driving. Intake, gears, 3500+ stall. Racy Idle. 10.5:1 compression ratio. Does COMP Cams CL12-214-4 fit your vehicle? 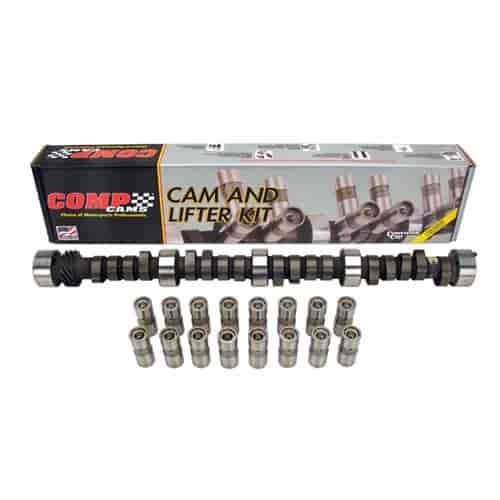 CL12-214-4 - Comp Cams 'Magnum' Hydraulic Flat Tappet Camshafts is rated 5.0 out of 5 by 1. Rated 5 out of 5 by Tede from Good cam Cam makes good power and sounds good! Nice radical idle! Ran 11.50 with a 383 and 215 dart iron heads in a lil s10!